Manufacturer: Specialized Bicycles, of Morgan Hill, Calif. 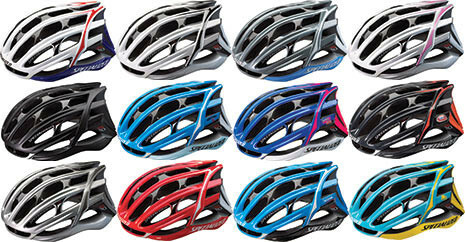 Hazard: The helmets fail testing required under CPSC's safety standard for bicycle helmets. This can pose a head injury hazard to riders in a fall. 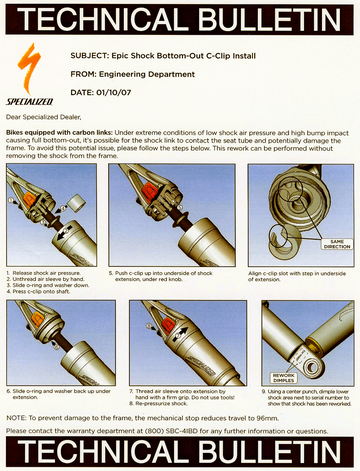 Description: This recall involves the Specialized helmets, model 2D. Model “2D” is printed on the sides of the helmet in the rear. The helmets were sold for men and women in matte black, white, silver, blue, pink, and team colors. Sold by: Specialized through its authorized retailers and online stores between July 2007 and October 2007 for about $200. Remedy: Consumers should stop using the recalled helmet immediately and return it to an Authorized Specialized Retailer to receive a free replacement or a full refund. (877) 808-8154 between 9 a.m. and 5 p.m. MT Monday through Friday, or visit the company’s Web site at www.specialized.com. 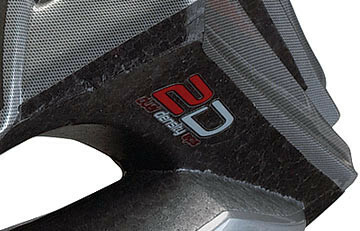 The S-Works 2D helmet has the model name "2D' printed on the side, towards the rear (photo). If you own one of the affected helmets, please bring it in to us so that we may perform the recall check. As an authorized Specialized retailer, we will inspect it and offer a free replacement or a full refund. Do not wear your helmet until this check has been done. The U.S. Consumer Product Safety Commission is charged with protecting the public from unreasonable risks of serious injury or death from more than 15,000 types of consumer products under the agency’s jurisdiction. Deaths, injuries and property damage from consumer product incidents cost the nation more than $700 billion annually. The CPSC is committed to protecting consumers and families from products that pose a fire, electrical, chemical, or mechanical hazard. The CPSC’s work to ensure the safety of consumer products - such as toys, cribs, power tools, cigarette lighters, and household chemicals – contributed significantly to the 30 percent decline in the rate of deaths and injuries associated with consumer products over the past 30 years. - Quelle: Specialized Europe B.V.